In pursuit of trade deals worth billions of euros and co-operation on chocking off mass movements in the Middle East, in particular independent action by the working class, Hassan Rohani will be meeting President François Hollande. 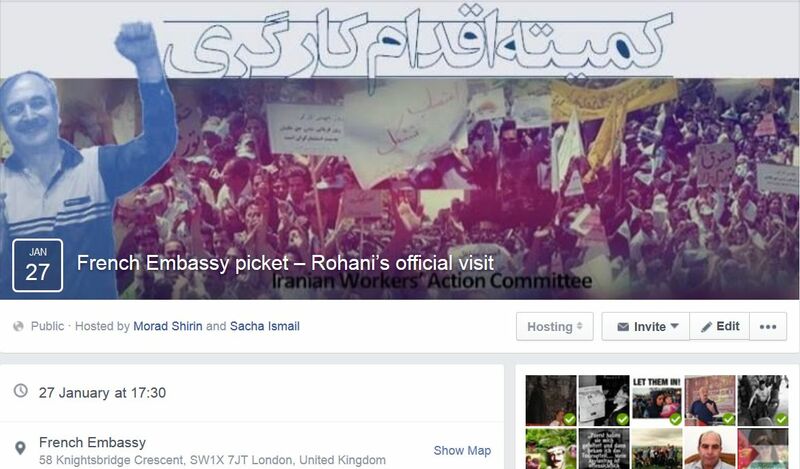 We can be sure that on this official visit they will not be discussing the general repression in Iran and the severe measures taken against labour activists and the left. Hollande will not be demanding an independent autopsy to find out what really happened to Shahrokh Zamani.